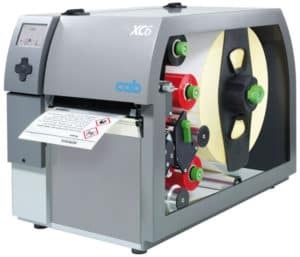 The cab Thermal Printers are a great fit for just about any company and industry. These units are active in commercial operations. Find them in tough continuous applications in industrial settings. Rely on them for a wide range of business services. Developed with a focus on the convenient and simple operation while offering high reliability. The cab A+ series offers 2, 4, 6 and 8-inch widths. Select up to 600 dpi with the 2″ and 4″. Choose from many cab A+ integrated peripherals and software. The user can customize the units up to the 6″ model for the exact task. The cab applicators and A+ thermal printers provide an integrated yet at the same time inexpensive solution. 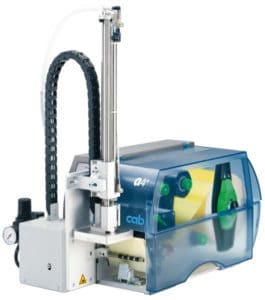 The cab applicators work for semi-automatic labeling and also for integration within automated production lines. 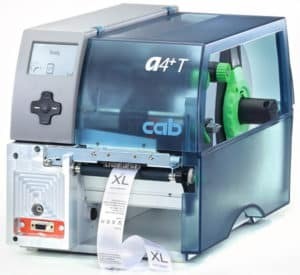 The cab XD4T prints double-sided on materials and media. Use them for printing on textiles, cardboard labels and pressed tubes as well as paper and synthetics. Two thermal transfer print units arranged in-line all within one printer unit. Delivers smooth and easy two-color label printing. 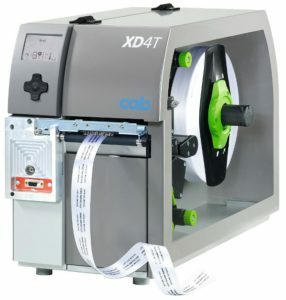 The XC cab thermal printers meet GHS labels regulations. Generate GHS Classification and Labeling Inventory printing. Built particularly for the task, marking materials that are winded on rolls or reels is a tough thing done right. 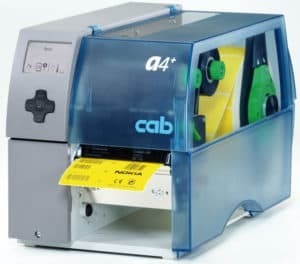 The cab A4+M printer excels at the job, especially on very small labels and slim continuous materials such as pressed tubes. 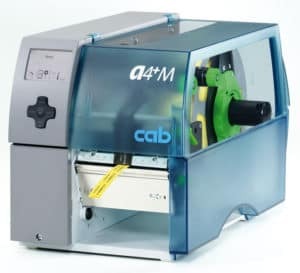 Use this cab A4+T unit for the job of marking particular textile materials, coupled with a job-specific drive roller installed next to the print head. All the functions of a solid industrial printer while also delivering ease of operation. The cab EOS1 handles label rolls up to 155 mm diameter while the cab EOS4 will allow label rolls up to 210 mm diameter. Some customers would love a tough heavy-duty printer in their busy workspace. 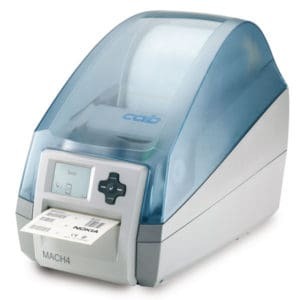 The MACH4 cab thermal printers perform just like the regular cab A4+ printer, but has a small form and delivers labels out the front.